During the celebration of the Utah Statehood Centennial, a Photo Tour Book was compiled. It includes brief histories and photos of Box Elder County cities and towns. The book has hundreds of historical photos showing the rich heritage of this great county. 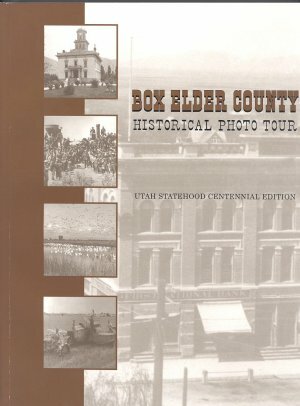 The Box Elder County Historical Photo Tour Book may be purchased from the Box Elder County Clerk's Office, see address below. 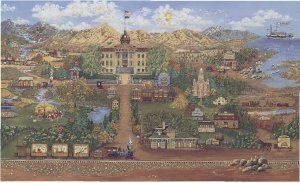 Artist Jacque Baker painted a beautiful mural depicting Box Elder County and it's historical landmarks. The original painting is hung in the Old Historic Courthouse. A reproduction postcard is available for purchase for $ 2.00 (postage included).